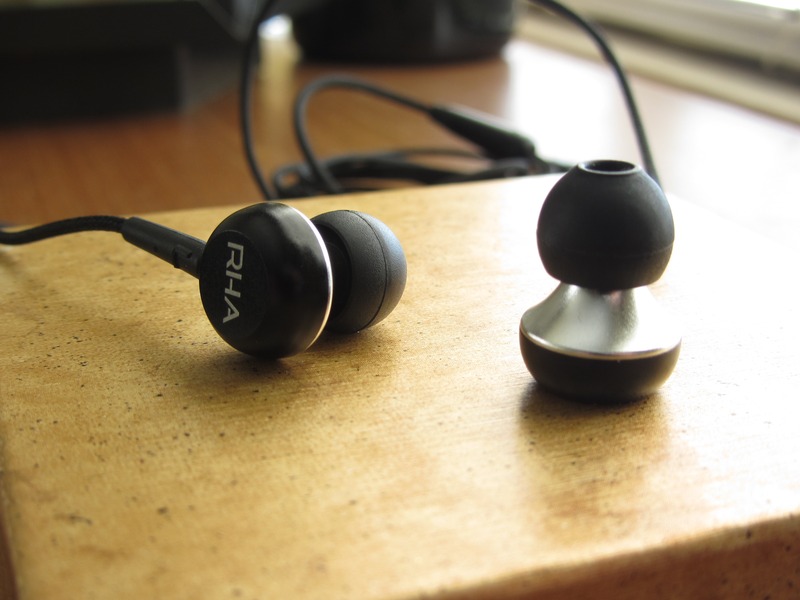 The MA350 is an earbud produced by RHA, subsidiary of the UK firm Reid Heath Ltd., based in Glasgow. 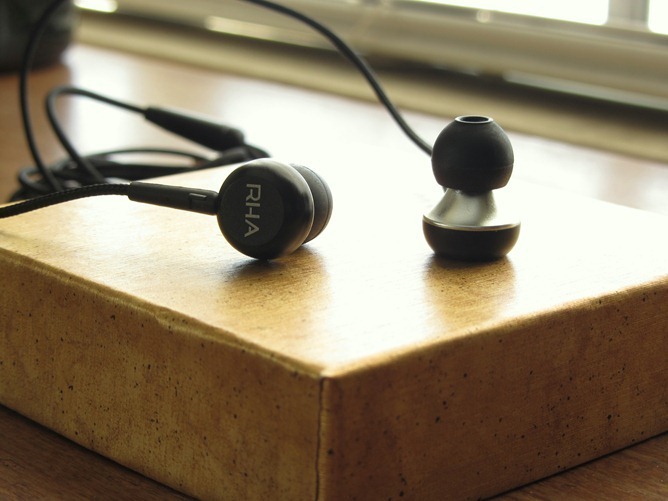 RHA currently manufacture only two models earbud, both of which use the same audio guts - one of them just has inline controls. The MA350's are the model without them. They retail for $40 (buy here). A small carrying pouch and three sets of eartips are included. 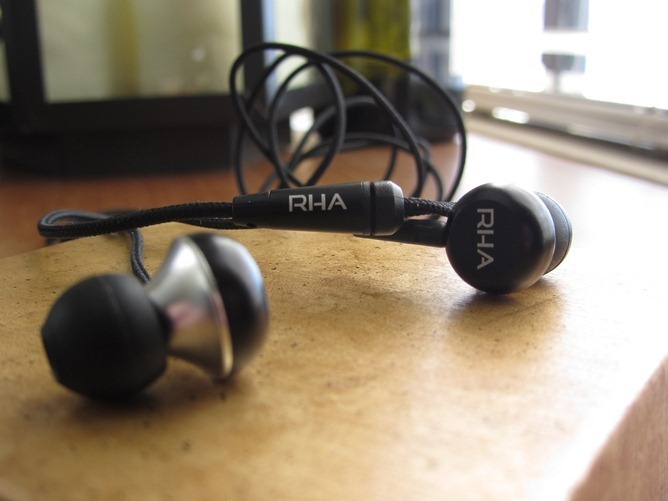 For $40, the RHA MA350's produce sound that is - I would argue - far more comparable to headphones of the $80-100 range. My primary point of comparison, therefore, were my trusty old Etymotic Research hf2's (equivalent to the hf5, which are $100 street price, $150 MSRP). Being dynamic driver headphones, as compared to the balance armature Etymotics, there were bound to be major differences in the sound - and there are. Now, to be fair, I am comparing one headphone to another with a suggested price three times as high. So keep that in mind. I didn't have a pair of crappy iPod or in-the-box smartphone earbuds to put them up against. 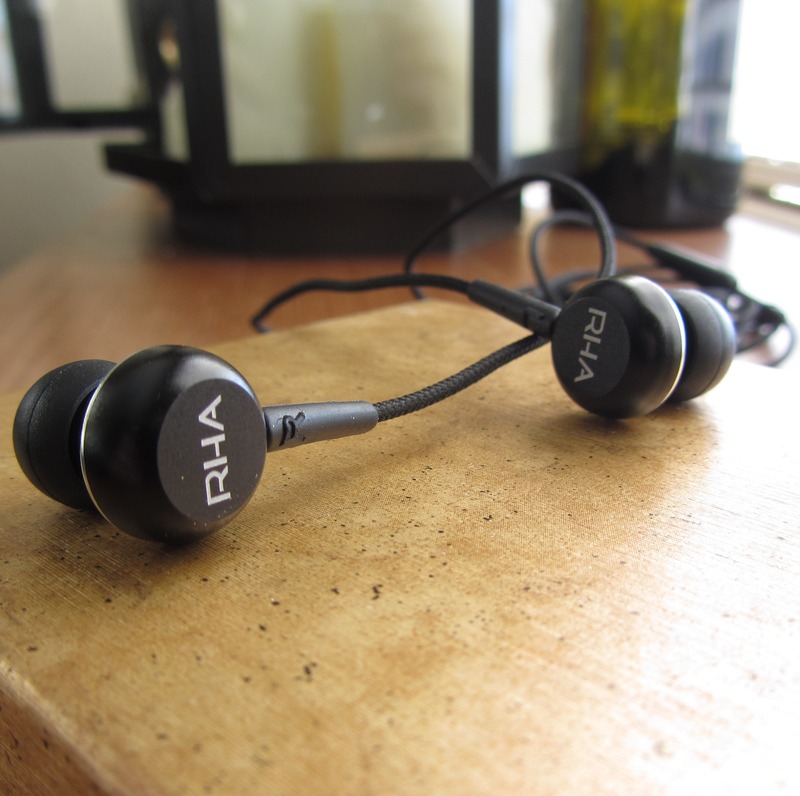 The MA350's claim to fame is RHA's "reverse trumpet"-shaped soundhole which the driver sends audio through to your ear. They claim this produces a more balanced output across the spectrum of sound, which I'm not sure I really buy - but I'm not an expert on earbuds acoustics (or, as RHA calls it - aerophonics, which frankly has far more to do with instruments that headphones). The sound signature of the MA350's is interesting. Bass-heavy, to be sure, but not to the point of sounding unnatural. They sound like a solid, powerful dynamic driver earbud. Bass also isn't so extreme that it overwhelms the decidedly gentler mids, and is fairly tight, with little muddiness. The mids feel a little too subdued to my ears, resulting in a somewhat "compressed" sound at times (like your ears need to pop), especially on tracks lacking much in the way of low-end. These wouldn't make great jazz / classical earbuds - strings and keyboards just don't have the depth of a good balanced-armature IEM like the hf2's. The treble end of the equation is a mixed win for the MA350's. The amount of detail able to be drawn out by these headphones amazed me - I've never heard something on this side of the $50 mark quite so able to extract the subtleties of a song. The little, imperceptibly quiet things that you just don't hear on a cheap set of headphones without maxing the volume (and, as a result, destroying your ears). The drawback is that the MA350's are also very bright - without a heap of bass to balance out the equation, songs heavy on cymbals, snare drums, and other sibilant percussion can become grating and harsh. The same goes for very high vocals, or particularly shrill guitar squeals. I found the soundstage a little wider than I expected, but nothing to write home about - which is to say, still a million times better than Apple earbuds. Instrument separation was solid, though I found this was one area where my hf2's very noticeably bested the MA350's. Overall, the MA350's produce great sound for the price, though I'd advise you to explore other options if you're into classical, jazz, or mellower / classic rock. 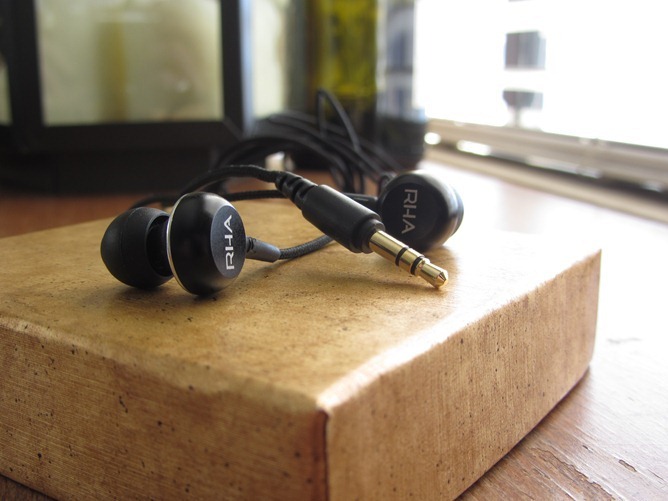 The MA350's are tuned great for modern rock, pop, and are plenty suitable for hip-hop. Electronica listeners may demand yet more bass, though I'd argue the MA350's have plenty for anyone who does not actively endeavor to distort their music. I won't say the MA350's fit brilliantly - I lost seal at times - but they do fit very well. While walking, they didn't dislodge themselves. The only difficulty really stemmed from getting them in correctly in the first place, which I found was best achieved by lodging them unusually loosely into my ears, probably due to the interesting chopped-off-egg shape of the tips. Still, once they were in, they generally stayed in. The machined aluminum housing makes them feel rather durable, as well, and didn't cause my ears any discomfort (aside from the fact that they're icy-cold when you first put them on). The cord is evil. It's a very light and narrow fabric-wrapped affair, and it gets tangled and knotted up like sewing string when left to move about in your pocket. That really annoyed me, but it's far from a dealbreaker. The cord also makes a fair bit of noise, though that's the tradeoff of fabric - you don't get the annoying reverberation when the cord strikes your body/clothing, but you do when it slides up against anything. When it comes to earbuds, my judgment of fit is generally reduced to a binary result: good or bad. The MA350's fall squarely into the "good" category. I really like the MA350's. These are the sort of headphones I'd recommend to my friends who aren't particularly interested in sound, but who suffer through overpriced products like Apple's god-awful earbuds (even the new ones sound pretty terrible), or whatever marked-up Skullcandy crap Best Buy puts in the smartphone aisle. For $40, you're getting an experience, I would say, that matches or exceeds many earbuds at twice that price. I reviewed the MA350's because I find that many of our readers tend to think spending anything more than $50 on headphones is just excessive, so I wanted to showcase something a little more economical. While I still disagree vehemently and absolutely with the notion that something like the eargasmic $400 UE 900's simply "aren't worth it," I can understand wanting the most bang for your buck - who doesn't? In that sense, I think the MA350's are an absolutely stellar headphone. I'd argue that, compared to numerous earbuds around the $100 mark that I've tried, you're getting 90% (or more) of the performance at around 50% of the price. That's serious value.